Rambutan season: from late May to late October. When we speak of an exotic fruit like rambutan we not only refer to it as a fruit, actually a healthy food that is capable of delivering each of the benefits and properties that hides its fruit is. The rambutan is a fruit that stands out for its high content of vitamin C, for example, help the absorption of iron and copper; turn this type of vitamin helps eliminate free radicals from the body. Within the properties of rambutan also worth mentioning an important compound called gallic acid, which also has an effect on free radicals, protects our body from damage caused and fights cancer. Also provides fewer in B vitamins, highlighting folic acid (it is a fruit whose consumption is recommended in pregnant women and during breastfeeding). Respect to its mineral content, is especially rich in potassium and magnesium. Furthermore, for his contribution in fiber, it is an ideal fruit to improve the intestinal transit . Is also a fruit particularly rich in antioxidants, helping to prevent cardiovascular disease (reducing their risk), actions of the heart and hypertension. 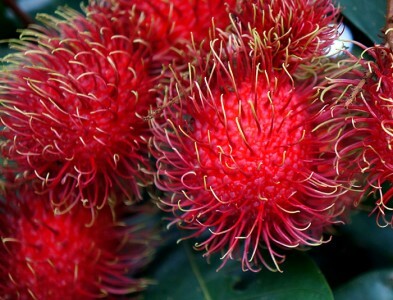 At the same time, the properties of rambutan make it impossible to deny its importance in the diet. The content of carbohydrates and proteins help increase energy and prevent swelling in the body. Even as the properties of rambutan beyond: most of this fruit is rich in water which can quench thirst instantly. The other hand the contents of phosphorus residues removed kidneys and calcium content, strengthens bones and teeth. This fruit contains fiber, excellent for optimal digestion of the body and it is a low calorie fruit so it can be added to recipes for weight loss. 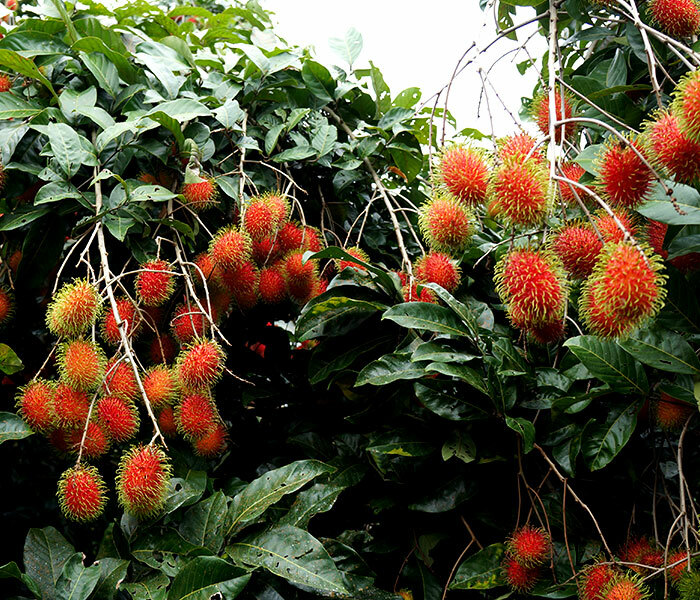 It is worth to mention the benefits of rambutan and the truth is that there are several, it plays an important role in the health of hair, either as direct food or as a mask. 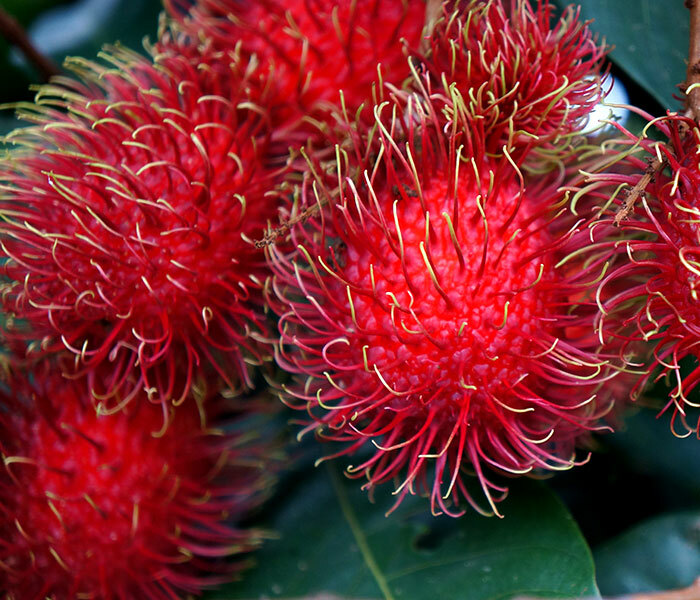 The rambutan has beneficial effects on the skin, leaving it soft and flexible . In categories of beauty is undeniable. However, their therapeutic functions are perfect when it comes to eliminate intestinal parasites or relieve diarrhea and fever. There are hundreds of ways to enjoy the rambutan. One of them is joining different vegetable salads or fruits can also prepare jellies and jams and even fruit can be combined with yogurts, soups, smoothies and even desserts.